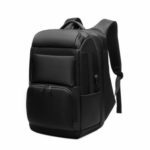 This Xiaomi Backpack a good choice when you are getting ready for business and travel. 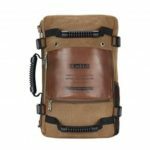 It features a interior laptop compartment, multiple pockets and durable handle. Big enough for your to organize your laptop, books, iPad, mobile phone, power bank, wallet and other accessories. With detachable design, it can used as a shoulder bag separately. Combine it or detach it, all depends on you. 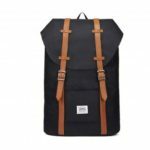 A detachable front pocket and durable shoulder strap in the hidden compartment, it can used as a shoulder bag separately. Combine it or detach it, all depends on you. Adopting high density polyester fabric with precise sewing, waterproof and anti-scratch, durable to use. 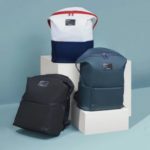 Multi-pocket design, convenient for classifying different items. Big enough for your to organize 15.6 inch laptop, books, iPad, mobile phone, power bank, wallet and other accessories. 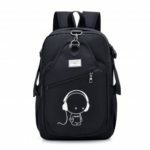 Adopts “S” shape shoulder strap, ergonomic design ensures the dispersion of gravity of the backpack, more comfortable. The addition of the mesh fabric and padding efficiently reduce the pressure, soft and breathable. Come with back strap to fixed in your luggage, make your travelling more convenient. Ergonomic shoulder strap design that you can adjust strap length according to your needs, give you a more comfortable and relax experience. 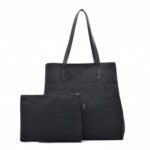 Come with two side pockets, perfect to hold your umbrella, water bottle and other small handy things. Suitable for business, travel and daily occasions. Bring you a simple and convenient life.